William Burt is a naturalist, photographer and writer with a passion for wild places – especially marshes - and the elusive birds few people see. 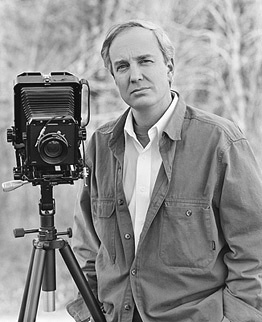 His photographs and stories are seen in Smithsonian, Audubon, National Wildlife, and other magazines, and he is the author of four books: Shadowbirds (1994); Rare & Elusive Birds of North America (2001); Marshes: The Disappearing Edens (2007); and Water Babies (2015). He lectures often, and his traveling exhibitions have shown at some 35 museums across the U.S. and Canada - including The Carnegie Museum of Natural History, The New Brunswick Museum, The Calgary Science Center, The Liberty Science Center, The Natural History Museum of Los Angeles County, and the Harvard Museum of Natural History. "William Burt is a perfectionist whose photographs of rails and other shy and elusive birds of the wetlands are unquestionably the finest ever taken. I admire his technical skill and perseverance (14 years) in getting these pictures. He has set a new standard." Bill Burt lives at Old Lyme, Connecticut (USA).